Manufacturer Sovivo has alerted the supermarkets in the regions of Auvergne-Rhône-Alpes, Centre-Val-de-Loire, Nouvelle-Aquitaine, Occitanie, Provence-Alpes-Côte d’Azur and the department of Saône-et-Loire after it found evidence that its steak haché products could have been contaminated with Escherichia Coli bacteria. Leader Price and Casino in the affected regions have been requested to remove the products from their shelves as a precaution. Anyone who has bought steak hachés from the supermarkets in these regions previously is also warned to check their boxes and return any affected products to their original point of sale - even if they have since been frozen. The move concerns boxes of steak hachés carrying the sell-by dates (dates limites d’utilisation optimale (DLUO)) : 30/06/2018 - 05/07, 06/07, 07/07, 09/07 and 10/07/2018. Sovivo has made a “green” helpline number available for anyone affected, with operators on hand to answer any consumer questions, on 0800 35 00 00. If contaminated food products are eaten raw or slightly undercooked, E.Coli can cause severe health problems. Steak haché may be of particular risk due to many people in France eating it while it is still slightly “pink in the middle”. E.Coli infection can cause symptoms such as severe headaches, abdominal pain, and diarrhea. Between 5-8% of infections can also cause severe kidney problems, especially in children. Anyone who believes themselves to be infected should contact a doctor immediately and let them know that they may have eaten contaminated steak haché. 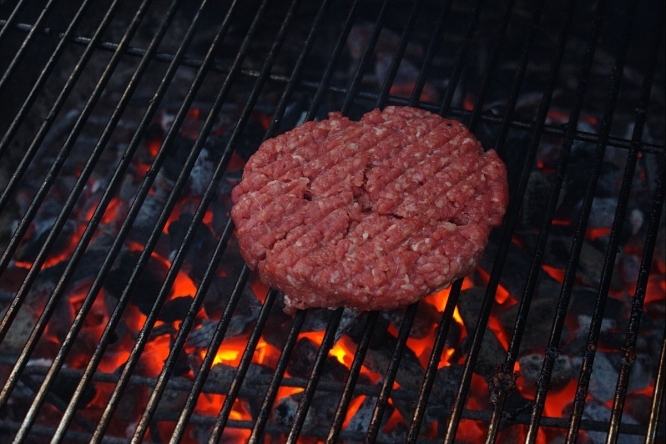 In a statement, the Ministry of Agriculture reminded consumers that “cooking to the heart of minced meat and any products containing minced meat, (ensuring that any pink colour in the meat has disappeared) will allow you to prevent the consequences of any contamination”.